immediately recognizable. 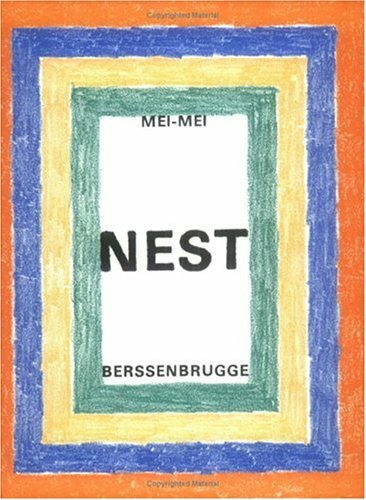 In her new collection, NEST, the medium of her poetry continues to be the sentence. To the formalities of syntax and grammar she adds the structures of domestic architecture, isolation, health, desire, play, and family life. Her writing offers a unique poetics of metaphysics and manners. As always the poetry is sensuous and stunning, and Richard Tuttle has once again designed an arresting cover.